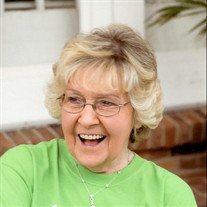 Charlotte Pennell, age 80, of the Roddy Community died Tuesday, September 4, 2018 at Tennova Physicians Regional Medical Center in Knoxville. She was born August 29, 1938 in Evensville to the late Richard Bert Trew and Mary Emma (Fisher) Trew. Charlotte was also preceded in death by her husband David Bryant Pennell. Charlotte lived in Spring City since 1975. She retired from Sethra, enjoyed quilting, reading and puzzles. She was a member of the Order of Eastern Star and of the Bethel Baptist Church in Spring City. She is survived by her five sons, David (Laura) Pennell of Kannapolis, NC, Daryl Pennell also of Kannapolis, NC, Don (Linda) Hill of Murphy, TX, Mike (Diane) Puckett of Spring City and Gary (April) Puckett of Douglasville, GA; her two daughters, Pat (Robert) Henderson of Madisonville and Linda (Earnie) Grubb of Richmond, KY; 15 grandchildren; 14 great-great grandchildren and her sister Wanda (Ollie) Cox of Spring City. Funeral services for Charlotte will be held Saturday afternoon at 3:00 p.m. in the funeral home chapel with Rev. Mark McCullough officiating. She will be laid to rest next to her husband David Pennell in Add Smith Cemetery in Spring City. Please share your memories of Charlotte on her online guest register at www.vanderwallfh.com. The family is being cared for by the Vanderwall Funeral Home in Dayton where they will receive family and friends Saturday from 1:00 p.m. to 3:00 p.m.